Being comfortable with chaos is a blessing in UX and design research. This comfort can save you drowning in the depths of customer insights. And if you’d rather drown in a pie, then make it a humble one, because if you like knowing the answer most of the time, open wide – you’ll need a big bite. For days you’ll need to be content with NOT knowing answers, to the very questions you’ve been asked. 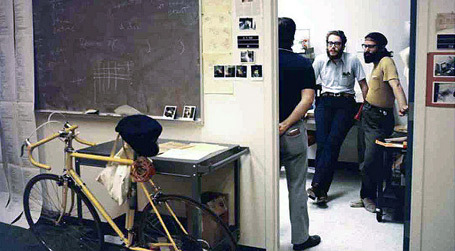 In the interview he talks about innovations in communication, from handwriting to Steve Jobs and the development of computer user interfaces. 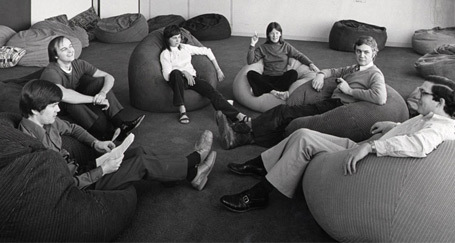 Xerox in the 80s: Beanbags, Check. Whiteboards, Check. Partings, Check. 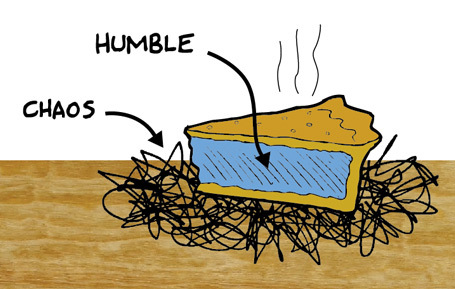 I’m no monk, or scientist so neither the chaos nor the pie came naturally to me, (switching from the classic ‘steak and cheese’ to ‘humble’ was quite a transition) but these built over time as I learned to trust my instincts as well as the process in research and design. Here’s the podcast on Simon Morton’s ‘This Way Up’ show on Radio New Zealand. About 25 mins long. 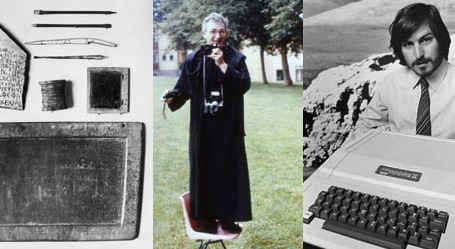 …and if you’re the reading type, here’s an article on FT.com about Ewan’s journey from Calligraphy through Monkhood to Innovation Research at Xerox. This entry was posted in Design process, Design research, User research by Nick. I see everyone adding the skill set ‘Monk’ to their Linkedin profiles now! Another fantastic article Nick. Between you and Ofer, we can burn all our books!